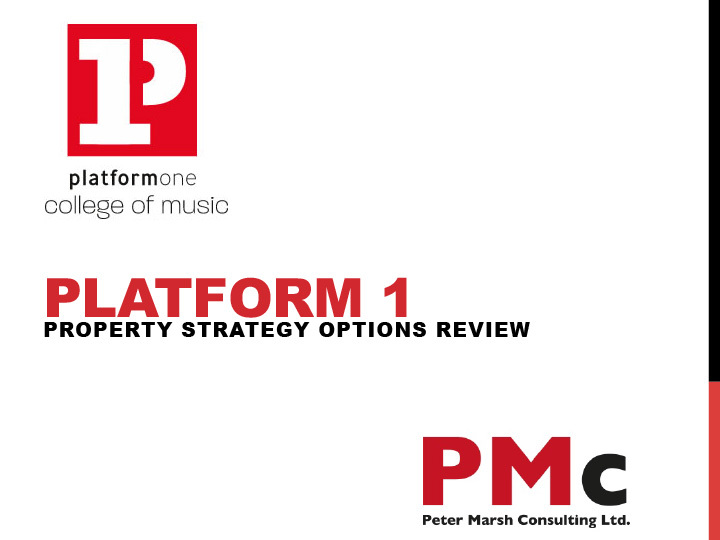 PMc has been appointed to work with Platform1 to help develop its business plan and conduct a strategic options review of its accommodation requirements. 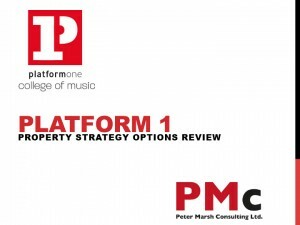 We have completed our initial scoping works and will be working with this outstanding boutique music training provider to identify options for expanding their accommodation and extending their partnership working. Our final report will be completed in November 2015.